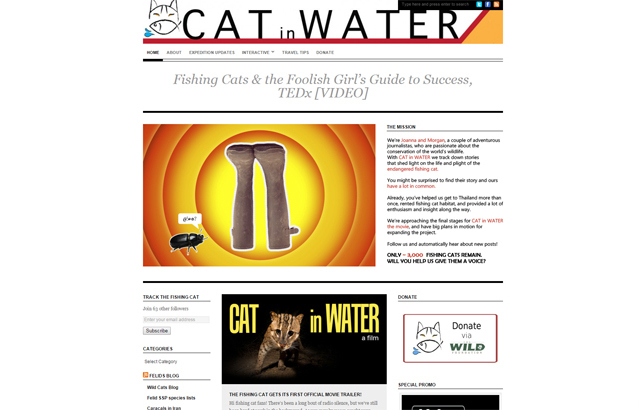 Cat in Water Webpage — Check it out! Hi Everyone! My name is Sebastian Kennerknecht. I am a wildlife and conservation photographer and I focus my photography specifically on endangered species and wild cats. Saying that I am cat obsessed would be an understatement. I love everything about wild cats, which makes them disappearing a huge deal for me. So for the last seven years now I have been photographing wild cats all around the world, not only showing off their amazing beauty, but also their fascinating natural history, while also highlighting the threats they face, the research being done, and the conservation actions being taken. Conservation for these cats is what I care about most, and I am willing to do what ever I can to increase their chances of survival. It is for that reason that I have long been a fan of the Cat in Water project. Cat in Water was created by Joanna Nasar and Morgan Heim (whom I got to meet a month ago, she is super awesome!) to help the endangered Fishing Cat. They were not only able to get pictures of the cat, but also they introduced more people to this amazing small cat species. That’s obviously completely awesome. After talking to Mo about Cat in Thin Air, I realized the parallels and thought of them as kind of like sister projects. I too hope to introduce a lot more people to the Andean Mountain Cat by completing a set of conservation goals. 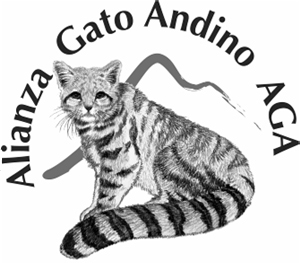 This will include fully covering the story of the Andean Cat photographically, including its natural history, the research being done, showing the cat’s threats, and the conservation programs that many amazing people are leading for the cat. The official logo of the Cat in Thin Air project, created by my talented sister Teresa Kennerknecht. That however, is just the beginning, because pictures can create change. The subsequent goals of the project will be to use the pictures to introduce and educate local and global people about the cat. We will also use the images to create a book to send to government officials to convince them to create more protected areas for the cat. And most importantly, we will use the pictures to help fund more research and more conservation to guarantee that many more people get to be as fascinated by the cat as I am. Are you interested in participating in the project? Awesome, feel free to email me!